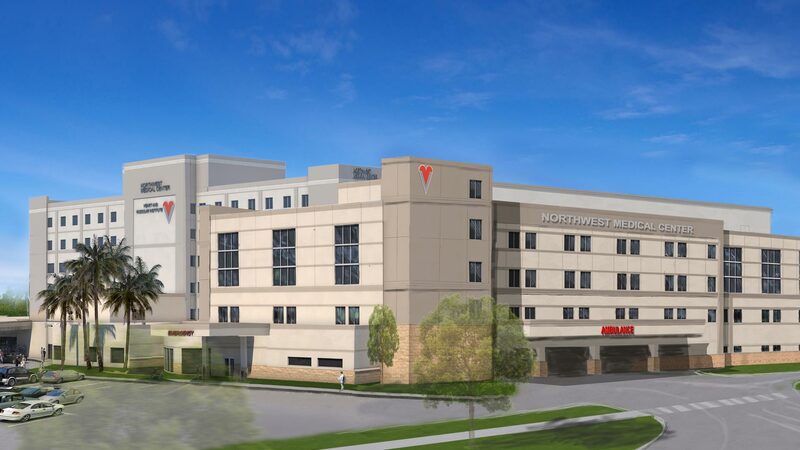 This project consists of multiple areas of renovation: expanding the existing NICU department, and adding (6) LDR patient rooms in the existing OB unit, and building out the existing shell space with a new (22) bed critical care unit. Two new floors are being added to the existing bed tower adding post partum, and medical/surgical patient rooms, and being designed for vertical expansion. A new remote power house is being provided outside the scope of this project to help support the new Bed Tower and future development on the hospital’s campus. In addition, a new parking garage is being provided outside the scope of this project. This new parking garage provides the balance of the code required parking spaces that will be required for the new bed tower proposed within this project.